Using clematis is a well kept secret in the floral community. Clematis will stay fresh for at least seven days depending on which varieties/group you pick and the age of the flowers when you pick them. 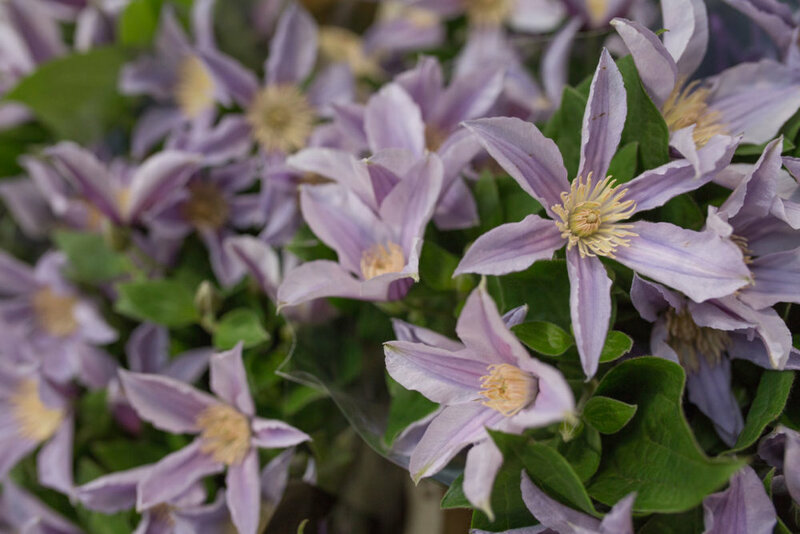 Clematis is the ideal candidate for use as a cut flower in florals, arrangements and bouquets because these varieties have a long vase life. It is also worth mentioning that there are several varieties (such as: double Patens and Diversifolia) that can last up to two or more weeks, making them a serious competitor with alstroemerias which are revered by florists for their longevity.